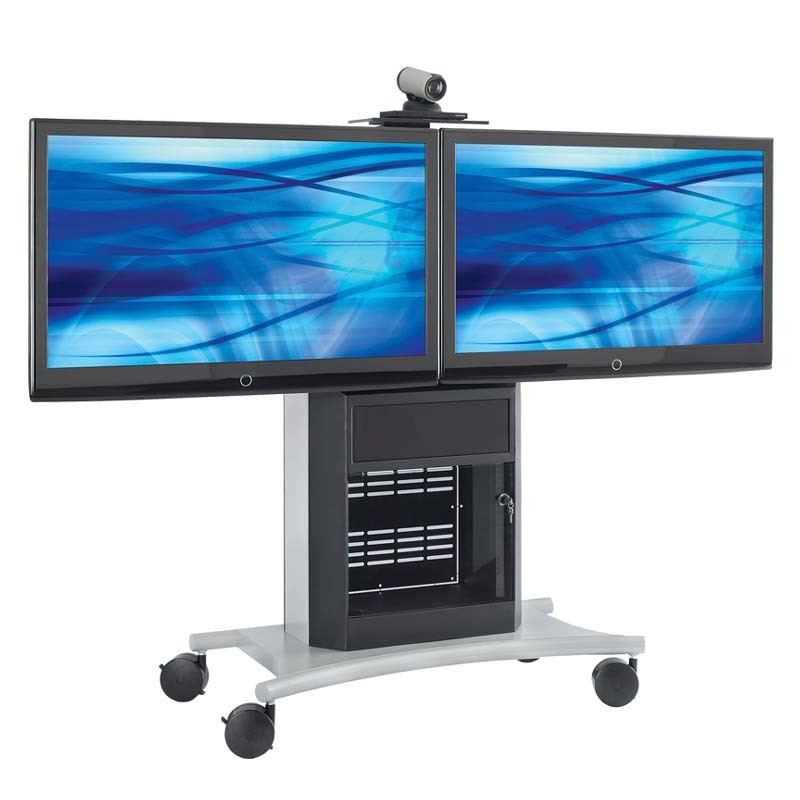 More on the AVTEQ Extra Deep Executive Series Dual Screen Media Cart for Two 32-70 inch Screens RPS-1000L-E below. 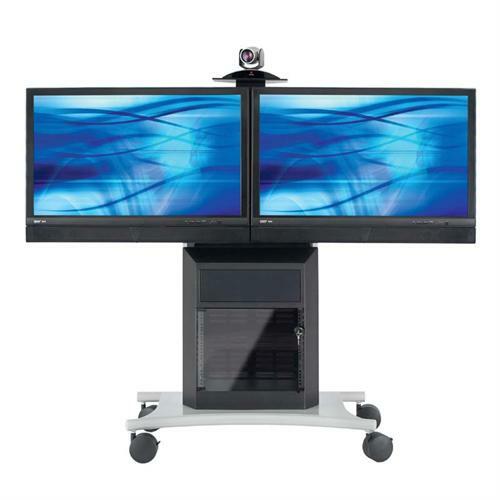 AVTEQ's RPS-1000LE supports dual displays up to 70" each. 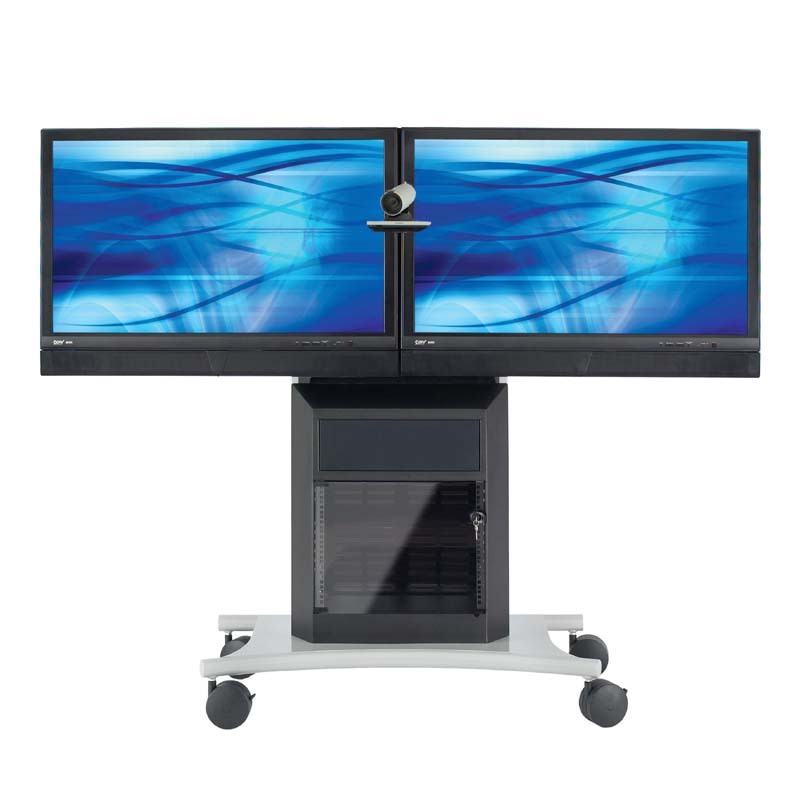 This innovative rollabout multimedia stand has an extended interior depth of 15.5 inches. 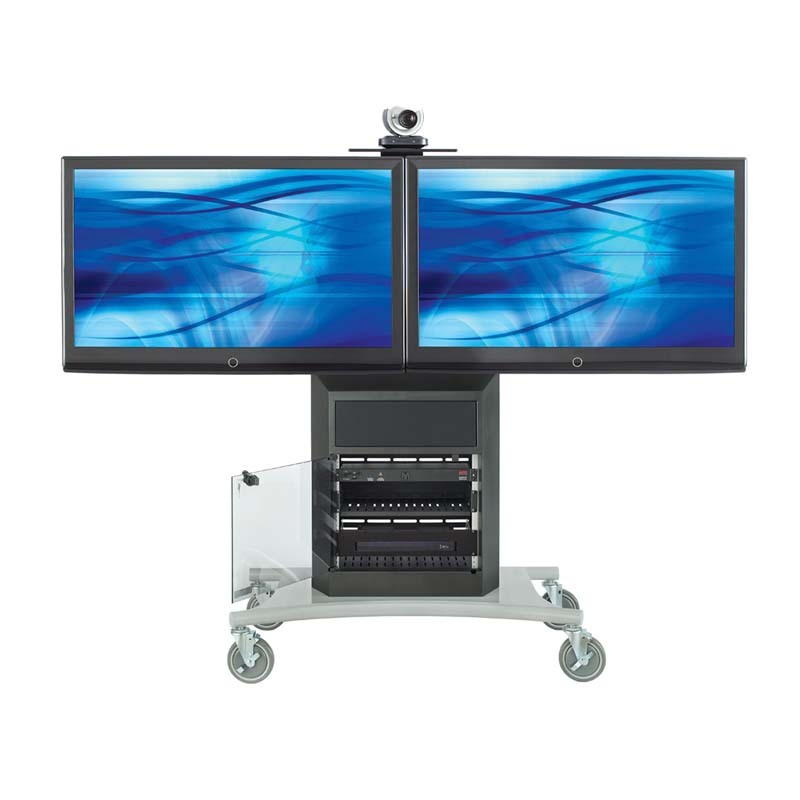 It comes standard with 8RU 19" rack mount bracket, 6 port surge protector, superior AmpliVox® speaker module, and integrated adjustable camera shelf. 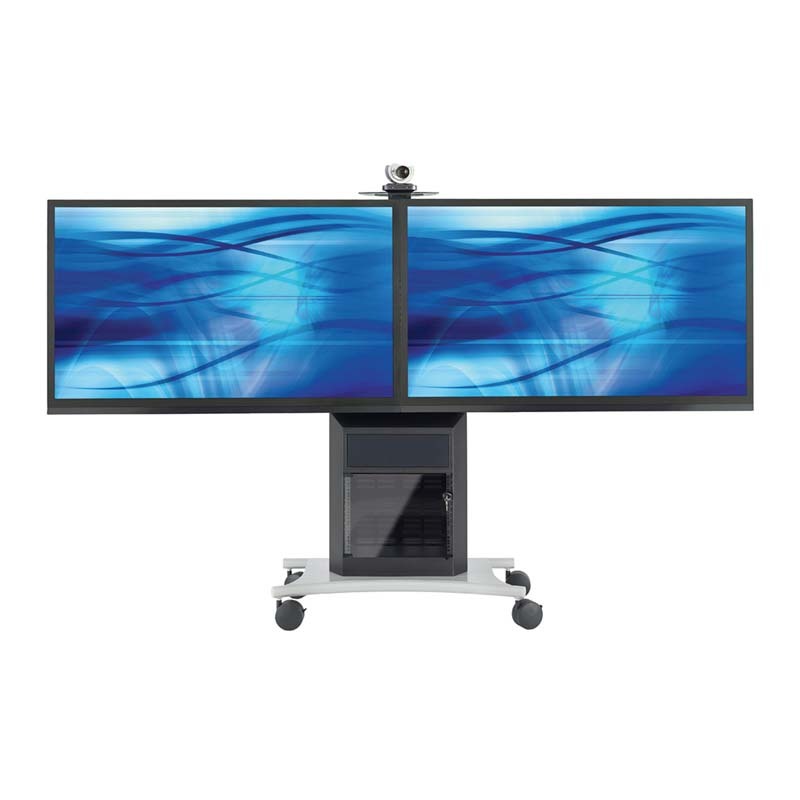 Two flat panel LCD, DLP, LED or plasma screens up to 70" and 175 pounds each. *Also available in a slimmer 12" interior depth version. See the RPS-1000L in the related products below.